Communal gatherings and collective discussions are a common practice in Indonesian society, where community members frequently collaborate towards a shared goal. This deeply cultural practice, referred to as gotong-royong, is a method for building consensus around community issues. The musrenbang process allows citizens to express their priorities for development projects at the neighbourhood, district and city level. Other than voting for their political leaders every five years, musrenbang is a rare opportunity for many citizens to express their needs and desires for the communities in which they live. It has great potential, but it is often treated as a sort of non-binding wish list. 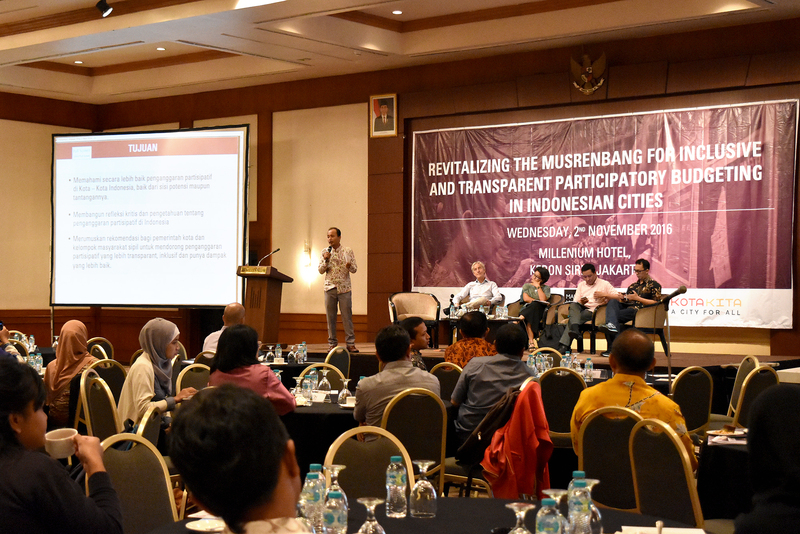 Musrenbang practice enables local government to better collaborate citizens and allowing discussion that accommodates community aspirations and priorities in a formal forum. It empowers citizens and strengthen the capacity of civil society organizations to contribute meaningfully to the development agenda and decision making processes. Finally, it promotes accountability and transparency in budget allocation and implementation for public welfare. 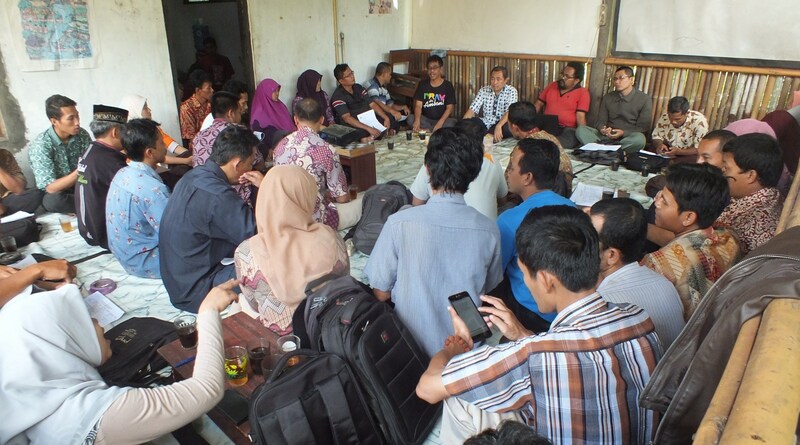 In 2016, Kota Kita, with the support of the Making All Voices Count (MAVC) programme and Institute of Development Studies (IDS), conducted a research, documenting participatory budgeting and planning practices in six Indonesian cities, Solo, Yogyakarta, Surabaya, Makassar, Bandung, and Municipality of Kebumen. Through this research, Kota Kita set out to investigate the challenges and opportunities of institutionalising participation; how access to information and use of technology impact participation in budget planning processes; what it takes for participatory budgeting to empower citizens; and how participatory budgeting can be inclusive to the most marginalized citizens. Innovation should be sympathetic to local context. The diverse experience from the six cities shows different type of innovations and they do not always suggest the use of digital technology to ensure higher citizen participation. In cities like Solo and Yogyakarta, many facilitators implement strategies to improve participation and engagement through adaptation to local needs, i.e. conducting youth forum prior to musrenbang, the selection of time which can accommodates community members. The use of technology should not only focus solely on data digitalisation, but to improve efficiency, accuracy, transparency, and accountability. Furthermore, it has to better connect the public with government in participatory planning and budgeting, and evaluation process. 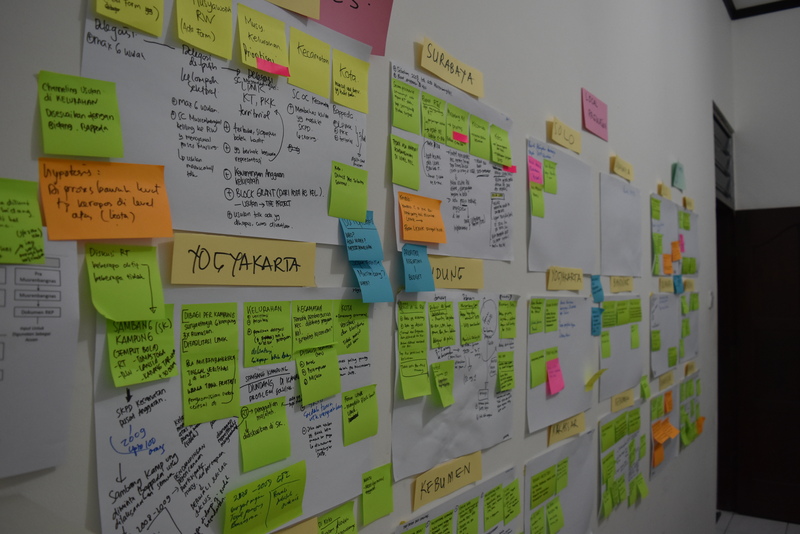 By involving different stakeholders in transforming cities, participatory budgeting in Indonesia promotes the notion of inclusive cities - improving representation, inching closer towards more democratic urban practices. But the process needs to revitalised, to be more effective and responsive to citizens’ needs. Kota Kita believes that there needs to be wider coordination and better collaboration between stakeholders. The research is the start of a long term plan for advocacy. 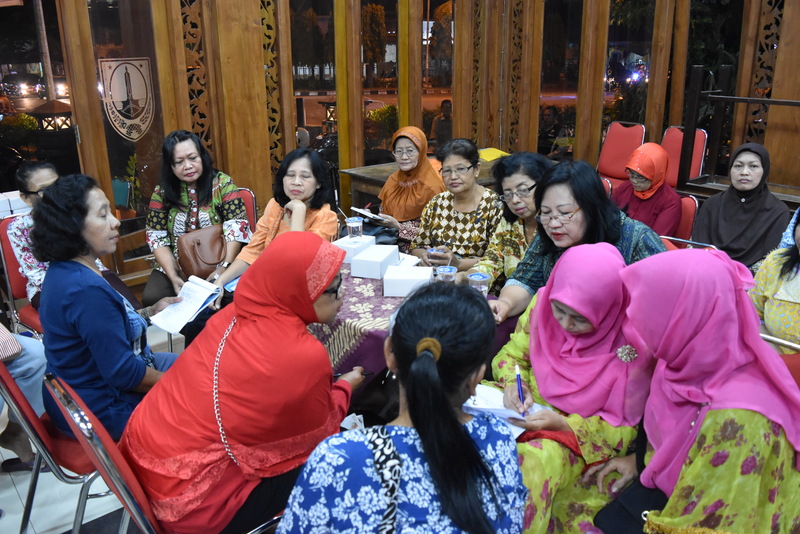 Kota Kita aims to improve the practices of PBs in Indonesia, whilst helping to share the good practices from Indonesia to other PB practitioners in Asia.